Oh, you thought we were done with the Juicero? That the tale of the useless $400 juicer was finished? That our collective snark had shamed the Juicero back into the bowels of Silicon Valley to fester alongside rat-gnawed boxes of Google Glasses? Well, according to Jeff Dunn, Juicero’s CEO, they’re just getting started. A new statement from Dunn, published on Medium, tackles the criticism that has been lobbied against the product over the last few days. He calls being the CEO of Juicero “the single most ambitious and inspiring job I’ve ever held” and goes on to describe the company’s mission as making it “dramatically easier and more enjoyable to consume more fresh, raw fruits and vegetables.” That’s a noble goal and, while his letter elaborates on the product’s unique features, it still does little to justify its insane price. What’s really bizarre is how he tackles the revelation that one can simply squeeze the juice out of the accompanying packets with their bare hands, a fact that almost entirely negates the Juicero’s raison d’etre. He calls the hand-squeezing a “hack,” as if this were some scheme to bypass the hardware concocted by tech experts rather than an off-the-cuff experiment by a curious reporter. He does make a good point, however, in noting that the Juicero’s “aircraft-grade aluminum and precision-forged gearing components” do more than just squeeze. The sum of the system—the Press, Produce Packs and App—working together is what enables a great experience. However, you won’t experience that value by hand-squeezing Produce Packs, which to be clear, contain nothing but fresh, raw, organic chopped produce, not juice. What you will get with hand-squeezed hacks is a mediocre (and maybe very messy) experience that you won’t want to repeat once, let alone every day. He even provided a video of what the inside of a packet looks like, though the lack of any accompanying narration to demonstrate the significance makes it all feel a little depraved. 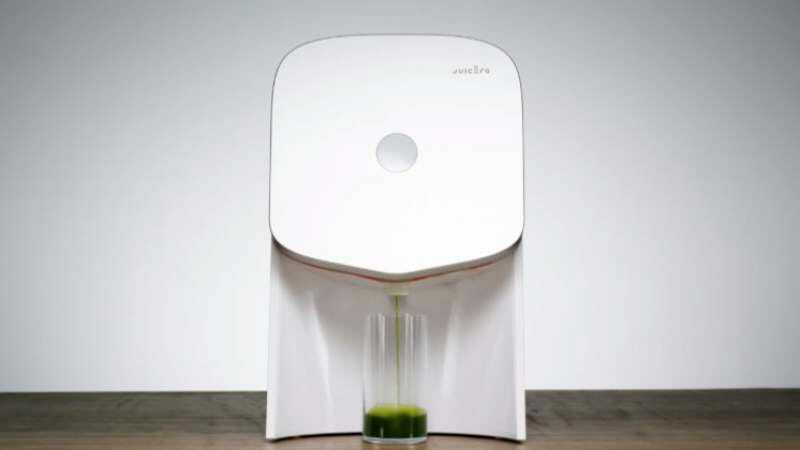 As a means of sating the masses, Juicero will refund any unhappy customers for the next 30 days, though anyone who could afford such a useless thing in the first place is not the kind of person who participated in the online takedown. Because it’s not really about the product itself, which does do what it says it’s supposed to do, but rather the idea that an everyday consumer would pay such an exorbitant price for something with such limited capabilities. Orange juice is still pretty good for you, for example, and it costs $3.